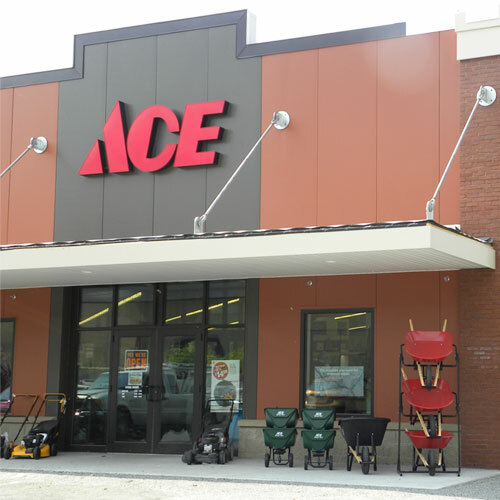 Ace 1-1/4 to 2-1/8 in. Dia. x 3-1/4 in. L Carbon Steel Hole Saw Kit 1/4 in. 5 pc. Use Ace 5-piece carbon steel hole saw set to cut large holes in wood, plastic, PVC and ABS. This All-in-One hole saw set includes four hole saws and one mandrel with pilot drill. The hole saws features a 1-inch cutting depth, black oxide finish to prevent rust, 6 teeth per inch, and two plug ejection holes. The mandrel has a 1/4-inch quick change hex shank. Sizes include: 1-1/4, 1-1/2, 2 & 2-1/8-inch.